Build and sign all flavors of our app. Build each Merge Request (MR) and report test results back. Continuously attempt building and signing to make sure we didn't introduce issues. 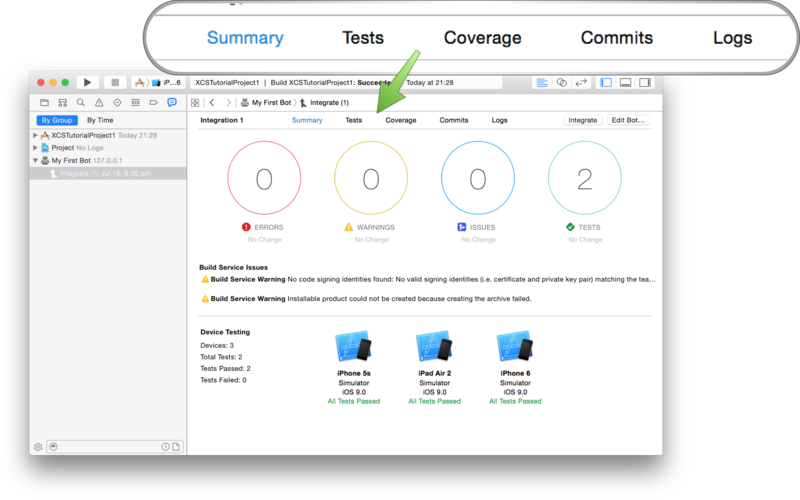 xcodebuild - developed by apple, used under the hood by Xcode to build and test. Difficult to remember sometimes but very configurable. fastlane - in fact not a single tool but a few tools which allow building, testing, uploading to iTunes Connect, provisioning profile management, screenshot taking, dsym upload/download to major crash reporting platforms. xctool and others - Among others I mean tools like the nomad tools which have been deprecated or have dwindling support, or become abandoned in time. Just because Facebook is behind a tool, it should bring no comfort that it is going to be maintained. The test of time would later reveal the winner to us(Keep reading). At the same time tooling is nothing without a server for it to run on continuously. There were a few CI servers being suggested and a choice had to be made in order to decide where to invest time. TravisCI/CircleCI - Hosted severs, free for open source projects, accessible from anywhere, robust. Less configurable than Jenkins, only allow integration with Github. Pricey for private repositories. Xcode Server - Highly integrated with Xcode, in fact can only work with Xcode, developed by apple, hopefully would need very little tinkering. A simple CI server, built around Github. Important: If your code is not on Github, you're out of luck. Many companies use alternatives to Github like Bitbucket or Gitlab due to pricing or the need to host their own code for security reasons. But say your code is on Github and you are willing to pay the monthly fee for Travis/Circle. Here is the Travis page of popular iOS library, AFNetworking. Travis's UI is focused around making builds and Github Pull Requests. It provides out of the box simulators and Xcode images(you can specify which Xcode version you want to use for building). Travis CI is still in beta with running jobs periodically which is surprising as Jenkins had this for a very long time. Out the box, easy to setup. 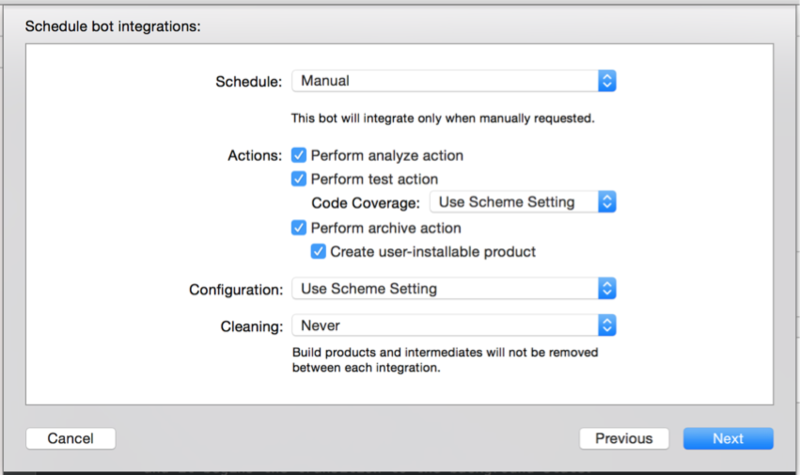 Configurable, Xcode and tooling is maintained for you. Doesn't work if your code isn't on Github. Pricey or limited build capacity for paid plans. A lot less configurations and plugins compared to Jenkins. Verdict: In the end, Travis's and for that matter CircleCI's lack of integration with Bitbucket and Gitlab were a deal breaker. Our code was not on Github. Even if it were, our necessity to run builds and tests continuously would simply require too much build time(and time is money, literally, CircleCI charges for build minutes). They also lacked the ecosystem of plugins that made Jenkins so desirable(be it the plugin that allows you to create a dashboard, or the one that retries a build 3 times if it failed). There is roughly one single guide on the whole world wide web about how to work with XCS and that is Honza dworzky's. If you'd like to know more about how to setup XCS, read it. And not by accident, Honza is now working at Apple on developer tooling. The really bad part is that everything outside building and testing in XCS you have to create yourself, using the limited api that XCS has. No integrations with Gitlab/Bitbucket/Github, no plugins to communicate with apis no job pipelines. 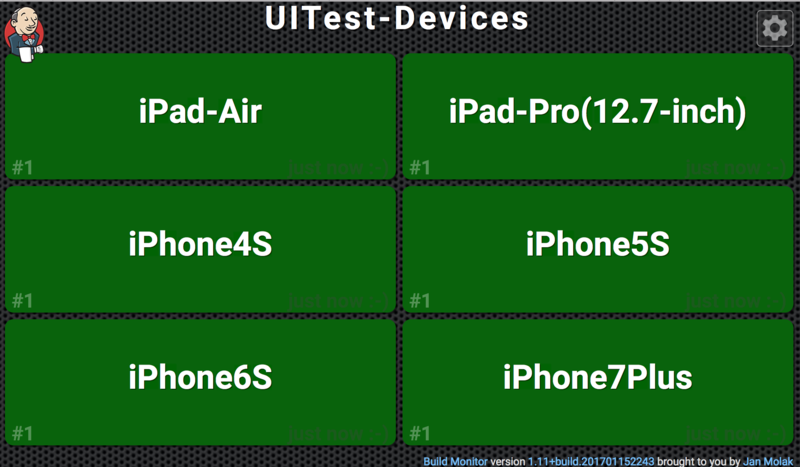 In fact the only thing that XCS can do is run unit+ui tests on devices easily. Even then, when it fails, it doesn't say why, leaving you with the burden of figuring it out. Has a web dashboard for monitoring your bots. Can create installable ipa's and you can install them in the web dashboard. Has issues with the most basic tasks like checking out source code when you have submodules. Cant add multiple builder nodes and bots are slow to run, impossible to scale up. Too focused around XCode specific tasks, doesn't allow for other kinds of jobs. Impossible to debug build issues. Only good for unit and ui testing. Apple clearly didn't set out to build a fully fledged CI server. Maybe it was just targeting small teams and indie developers. After our extensive experiments with XCS it looks like even small teams would have tremendous difficulties in maintaining, keeping it alive, debugging it and getting feedback from XCS in reasonable time. When you don't encounter such problems, XCS is simply not able to offer more than building and testing. Uploading to iTC, provisioning profile download and installation, uploading to hockey app(or fabric), reporting test results back to our git repository manager,other CI tasks are out of reach for XCS and would be much more difficult with XCS than our final alternative. This one is a little bit different because an introduction is needed as to what is fastlane and what it does. These four simple actions allow us to achieve the goals set out in the introduction of this article. Fastlane is able to do much more (provisioning profile download and installation for example) but these commands will be enough for now. Due to the simplicity and portability of fastlane commands as well as the ability to put them under source control in a Fastfile, you're able to migrate to any CI server you like with little to no effort because your Fastfile is a recipe for building, testing and distributing your app while your server, is a way to host them. And report the results back as green checkmarks (or red X's) next to the commit in Gitlab,Bitbucket. Another job might use fastlane sigh to renew and download provisioning profiles every day. 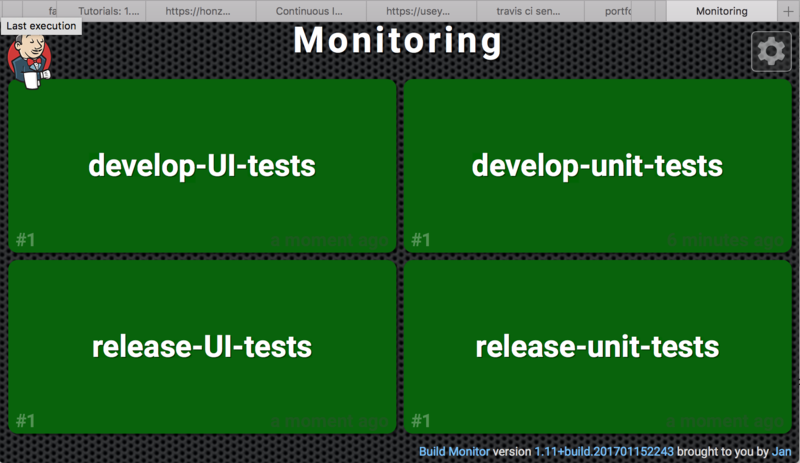 Another job might create builds and upload them to hockeyApp after each Merge Request for your testers. Sending slack notifications with the changelog and download link of the app when a new build is available? All possible. Jenkins's ability to scale up by adding more builder nodes is also worthy as is the fact that it is free. The only bad part about Jenkins is that because it is free, you have to host and maintain it. It's UI is also historically not so good. Other than that, it's plugins, robustness, reliability and integration with all kinds of third party services is world-class. Even small teams will enjoy using fastlane to automate their iOS app processes (builds, uploads, tests). Configuring a Jenkins server to run those fastlane commands is not difficult and saves a team member from having to look at his terminal a few hours every while these commands run. 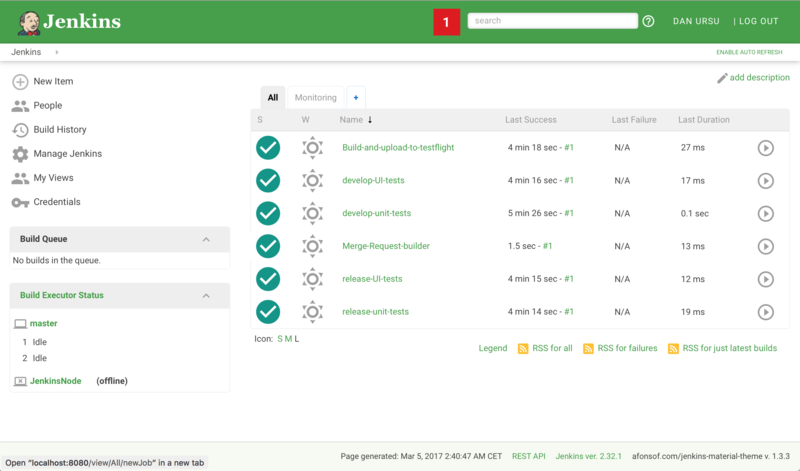 Great and transparent error handling is a primary goal of fastlane so combined with a Jenkins server you will have a robust solution for your team to use. The great documentation of fastlane and the already proven robust mister Jenkins with it's myriad of plugins will allow you to automate even your wildest processes. All at a click's distance. Xcode Server trails at the end, other CI servers are less powerful (and only for Github) and so Jenkins wins the battle for our preferred CI Server. PS: I am still giving a chance to Xcode Server to become a part of our CI setup by running UI tests on physical devices. It remains to be seen, if XCS will be able to at least handle that task, or we will have to uninstall it completely.